Join Seattle Pacific University and Earl Palmer Ministries for a small group “Gathering of Friends” in Oxford, England, September 9–13, 2010. This is your opportunity to enter the world of C.S. 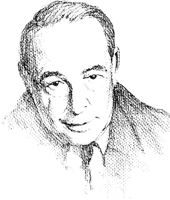 Lewis and examine the relevance of his writings today. Those gathering together will learn from Rev. Earl Palmer and SPU President Philip W. Eaton. Rev. Palmer is the former senior pastor at University Presbyterian Church, and one of the important voices on Lewis in our time. Joining him is President Eaton, who has written and spoken extensively on the topic of cultural engagement. The Gathering of Friends will reflect on Lewis' life as a student, a scholar, a teacher, and a man of friendships — in the actual places he lived and worked. They will also focus on this great man as the writer of unforgettable stories and books that continue to make the case for "mere Christianity." By joining the Gathering of Friends, you'll discover the relevance of Lewis as an interpreter of faith to culture — as you find your own faith journey encouraged. While significant learning will be the main focus of this journey, warm fellowship can grow out of the experiences as people engage in conversation, share meals around the table, walk the pathways used by Lewis and his friends, and worship together in places familiar to Lewis. This “Gathering of Friends” is September 9–13, 2010, at Oxford’s famous Randolph Hotel. The schedule includes time spent in places familiar to Lewis: his home, his church, and his university. For a registration for and detailed information about how you can join, contact lbhall@spu.edu or call 206-281-2100.